Airports seeking to unlock rapid profit growth need look no further than just outside the terminal entrance for the next big opportunity. Parking provides the highest EBITDA for airports with the potential for more sustained gains than other revenue streams. However, two contradictory outlooks for the airport parking industry have introduced some uncertainty: increased regulation and transportation options will lead to the demise of parking; and airline passenger numbers will double over the next decade, causing airport parking to grow in tandem. Which is it, boom or bust? There won’t be any drastic, sudden changes, but with airline passengers forecasted to double to 14 billion worldwide by 2029, there undoubtedly remains a need for traveller parking, regardless of any disruptors. So, time to build more parking facilities? Not so fast. Airport commercial parking managers should first seek a more acute understanding of traveller demand via data analytics and find ways to optimise existing inventory. 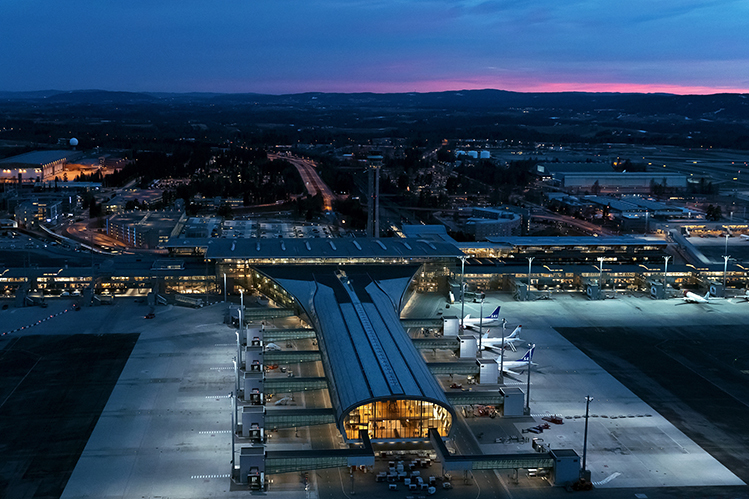 Avinor has partnered with IDeaS Revenue Solutions to optimise revenue growth for its 11 car parks and over 20,000 parking spaces at Oslo Airport. Revenue management applies science to maximise revenues generated from a perishable product. With an increased focus on growing pre-book business mix and applying revenue management practices, trailblazing European airports have applied dynamic pricing to pre-booked parking for over a decade, with continued year-over-year revenue growth. Airports in Australia have more recently taken on these practices, and with the increasingly recognised opportunity, this trend is now emerging in North American airports. Still, parking managers often fear that travellers won’t accept dynamic pricing and that the change would dilute their drive-up business. These doubts are understandable but ultimately unfounded. Returns from dynamic pricing far outstrip any impact on drive-up business, and history has shown that travellers will quickly adapt. Just look how fast Uber attained widespread adoption for something as ‘far-fetched’ as booking a taxi on your smartphone with prices that would ‘surge’. It’s time to overcome misplaced fears and make bold, smart decisions to be more competitive and grow profits faster. By using data to understand traveller behaviour, parking managers can start to make more powerful decisions. However, there’s a lot of data to consider to accurately understand demand and determine the right price to put in the marketplace. This is where revenue management technology comes into play. Parking managers don’t need to hire a team of data scientists. Revenue management systems utilise machine learning and analytics engines to automate forecasting and pricing processes. Despite any uncertainty, this is no time to procrastinate. Airports can expect a 10% increase in revenue within the first year of implementing a revenue management system and applying data-driven decisions. With advanced technology taking care of daily pricing decision-making and updates, airport parking managers can manage by exception, have more time to be strategic and grasp the next big opportunity, while simultaneously driving better revenue for their airport. Avinor has partnered with IDeaS Revenue Solutions to optimise revenue growth for its 11 car parks and over 20,000 parking spaces at Oslo Airport. Customers will receive more dynamic pricing on Avinor’s pre-book solution, with prices regulated based on actual demand.